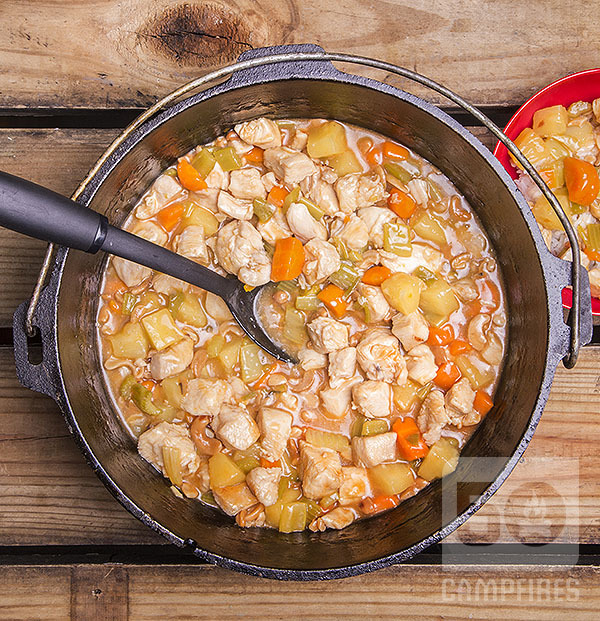 If you’re looking for a fine dining meal at your campsite, this dutch oven chicken and cashews recipe is right up your alley. I go camping a lot, therefore I try a ton of different recipes because I get sick of just a hot dog and ketchup with some potato chips. 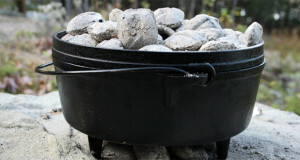 I first found this recipe over at food.com, and was a little skeptical if it could be turned in to a dutch oven camping recipe, but figured I would give it a try. I really didn’t have to make to many adaptions and it turned out so well, my family was begging for more. I used around 8 coals on the bottom and 15 on the top to get a nice even temperature. The one huge adaption I made was in preparation. I made most of this meal at home, where I knew it would be easy to chop veggies, measure ingredients and cook the chicken. 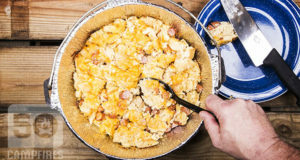 Most of this recipe can be cooked in a pan at home and then transferred to a dutch oven at the campsite for an easy meal. I cooked my chicken, onions, bell pepper, celery, carrots, and cashews and put them in a container in my cooler. I also mixed together the water, vinegar, sugar, ketchup and cornstarch, blended it and added the undrained pineapple chunks. If you want to take it a step farther you can even cook the rice and put it in a container. Then all you need to do with the rice at the campsite is heat it up on a camp stove or over the grill grate on the campfire. Having a lot prepared for this meal allowed me to put the chicken mixture and cornstarch mixture together, bring it to a boil and let it simmer in the dutch oven. 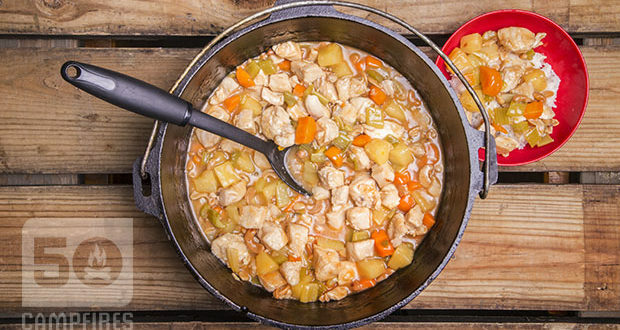 It was ready to eat in no time and the dutch oven chicken and cashews were a very heart meal after a long day outdoors. 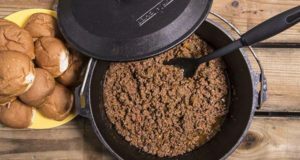 This is a delicious, Asian-inspired recipe that can all be done at the campsite or prepped at home. Lots of options for cooking rice that are campsite friendly now, too. 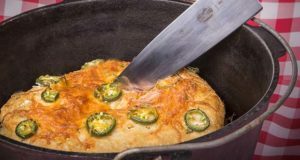 Add oil to Dutch oven or large skillet and heat to medium-high. Add onion and bell pepper; cook and stir for 2 minutes. Add chicken breasts, garlic, carrots, celery and cashews. 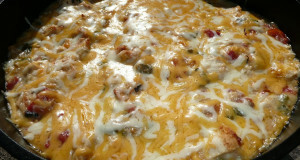 Reduce heat to medium-low and cook for 15 minutes, stirring often. Add ¼ cup water if needed. In a medium bowl, mix ½ cup water with sugar, vinegar, ketchup and cornstarch. Blend until smooth then stir in pineapple (including juice). Add cornstarch/pineapple mixture to chicken and bring to a boil, stirring constantly. Lower heat and simmer for another 20 minutes or until chicken is done. Serve over hot rice.